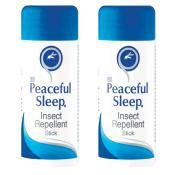 Quick and easy to apply, no rubbing in! 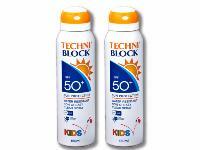 Techniblock is a clean, clear, non-greasy aerosol sunscreen that provides lasting, high quality protection against harmful UV rays. The light but highly effective formula is quick and easy to apply, absorbs easily and is extremely resistant to water and perspiration. Free from oils, emulsifiers, parabens, colourants and perfume, it is very suitable for sensitive skin prone to prickly heat rash. 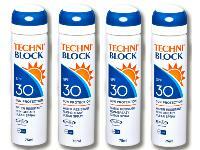 Available in SPF 30, SPF 40 and SPF 50 and SPF 50+ as well as a high protection range specifically for children.